White Dark Base 700 RGB Tempered Glass PC Case from be quiet! 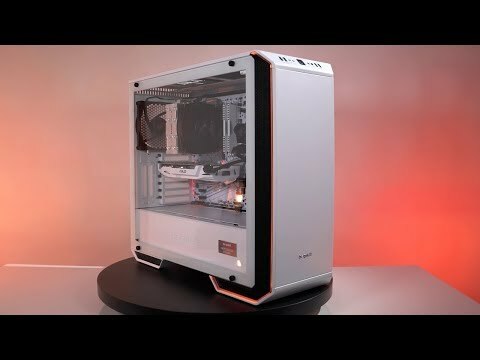 OUTSTANDING FLEXIBILITY AND SILENCE Introducing the Dark Base 700 White Edition PC case from be quiet! Each unique mid-tower case comes with an aluminium badge with a production number skilfully printed on, which makes every case truly personal and limited to only 3000 pieces worldwide. The Dark Base 700 boasts immaculate flexibility with amazing cooling and silence features with two Silent Wings 3 140mm PWM fans. The stunning windowed side panel enables a full view into your system and you can show off your exterior RGB LED lighting with ease. This case from be quiet! is optimized for overclocked and water-cooled PCs, ideal for high-end workstations and desktop PCs. For a super spotless build this case features a PSU shroud, ingenious cable routing and HDD slot covers for a neat interior. Multi-Mode RGB LEDs with Elegant Side Window The White Dark Base 700 is designed with a stunning tempered glass side panel, which creates the perfect window into your system. Featuring exterior RGB LED illumination on the front panel that is switchable with up to six colours and three modes. LED synchronization with your motherboard or RGB controller is also an alternative option.